My dear friend Terri discovered Mia King is a pen name for Darien Gee the author of the much enjoyed Friendship Bread and The Avalon Ladies Scrapbooking Society. I enjoyed this book despite it's predictability. It took me nearly three weeks to read. This indicates either it didn't grip me or I am too busy doing other things. I think in this case it is balance of both. 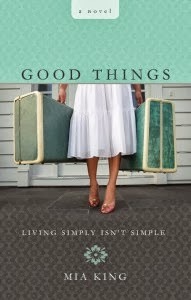 Good Things: Living simply isn’t simple. Deidre McIntosh is 40, single, and host of Seattle’s premier lifestyle TV show, Live Simple and Simply Live. But when her show is abruptly cancelled, her seemingly perfect life ends along with it. It’s a godsend when Kevin Johnson offers her a place to stay, even if her new living arrangement is literally a shack in the woods. As she slowly begins to practice what she once preached, Deidre takes the first step toward a new kind of success, and maybe even love. A busy month with more eye surgery. this time the removal of a cataract in my right eye and intra ocular lens implant. B-I-L Mark repatriated from California to live with us until he settles. Work is consuming too much of both my time and my mind! 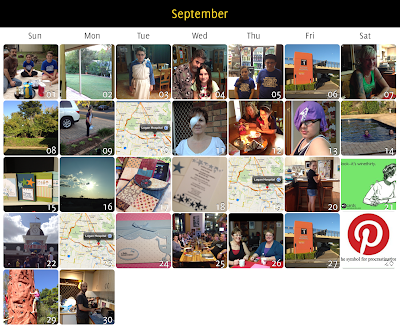 Aim for next month - more blogging. Thanks for stopping by.